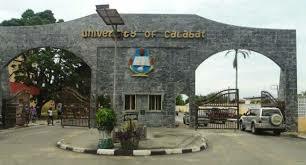 The Police in Cross River on Thursday arrested two students of the Department of Public Administration in the University of Calabar (UNICAL) for defrauding applicants through fake army recruitment, Owojela’s Blog reports. The state Commissioner of Police, Mr. Hafiz Inuwa, said the suspects were arrested on October 22, 2007, by operatives of the command. Inuwa said the suspects had been impersonating military officers on their Facebook pages which they used in defrauding their clients. He said, “On October 21, 2017, we got a tip-off through our public complaints unit that one Mr. Reuben Bartholomew, had been duped by Daniel Onuta, 22, and Emmanuel Mba, 20. “Upon receiving this information, our men swung into action and the two suspects were arrested. During interrogation, they both confessed to have defrauded Reuben Bartholomew of the sum of N400,000. “One of the suspects, Onuta, claimed to be a colonel, while Mba impersonated a major. The suspects will soon be charged to court. The commissioner said the command was determined to surmount the security challenges and other forms of illegalities across the state. The CP further said the suspects would soon be charged to court as soon as investigation was completed. 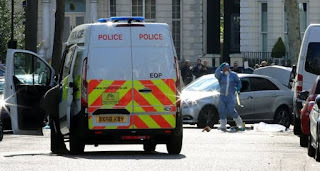 However, there was a mild drama when the two suspects claimed that they were secondary school pupils while being interviewed by the Media. They later admitted that they were 100-level students of the Department of Public Administration, UNICAL. Onuta said he got N60,000 from the fraudulent transaction.